Ironman Coeur d’Alene brings the weekend’s racing to a close. 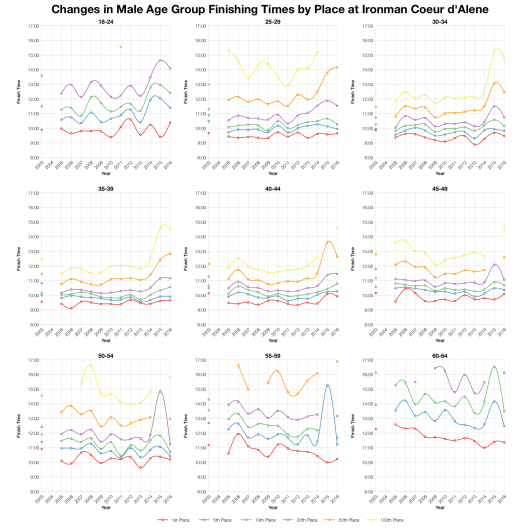 The oldest of the four races, Coeur d’Alene came with 65 Kona slots this year. That higher than normal number of slots doesn’t appear to have drawn any additional competitors to the event making Coeur d’Alene the smallest and slowest race of the weekend. We have a lot of past data to compare this year’s results against. 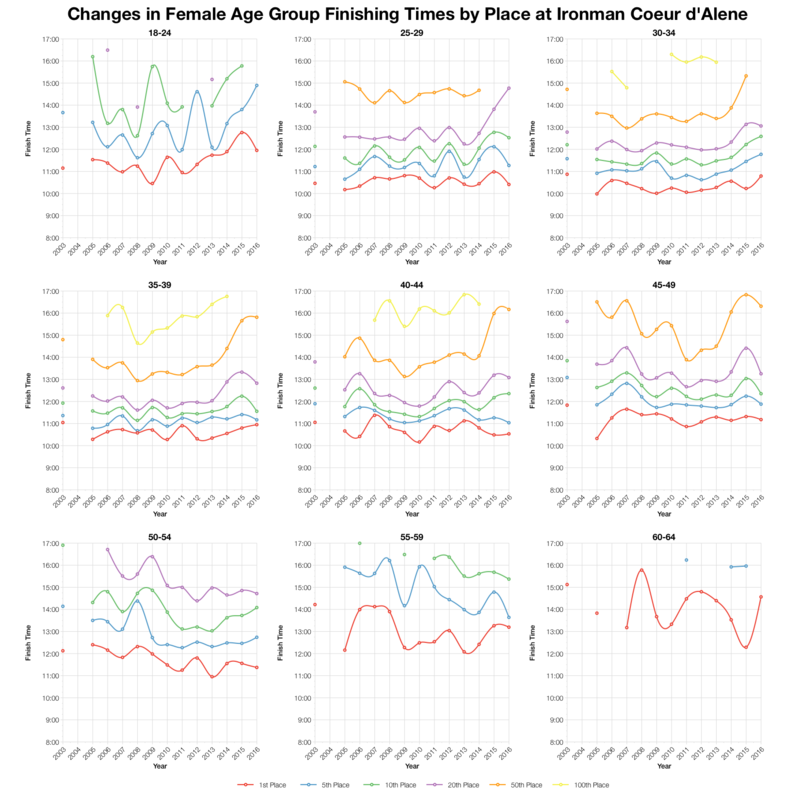 What’s clear is that 2016 trended a lot slower on the bike and overall, but that this is mostly the result of an enlarged back of pack. 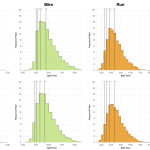 Splits for the top 5th and 10th percentile are comparable with previous races. So this would suggest Coeur d’Alene may be attracting a more diverse range of athletes than before. Variations in methods of competitor entry on the Athlete tracker make it hard to say if this year’s race saw a drop in DNF/DNS numbers or that the listing simply excludes those who didn’t register on site. 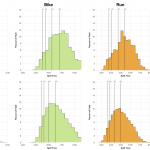 We can see that rates on the bike and run look to be much higher than usual with the exception of last year. This may partly be a consequence of the much smaller field since 2015 (amplifying the impact of DNF numbers as a percentage). I’d also note that last year’s race came out as a slow, tough year due to hot conditions and this year’s event looks to have been similar. Times and DNF numbers are comparable. 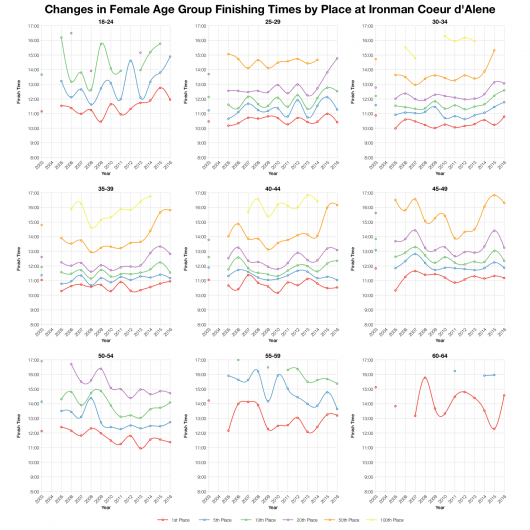 Naturally the age group medians follow the broader trends. 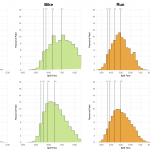 Splits for both bike and run trend slower at the median, but swim times don’t differ by much. As we’d expect the field is mostly made up of US and Canadian athletes with a small number coming from further afield. 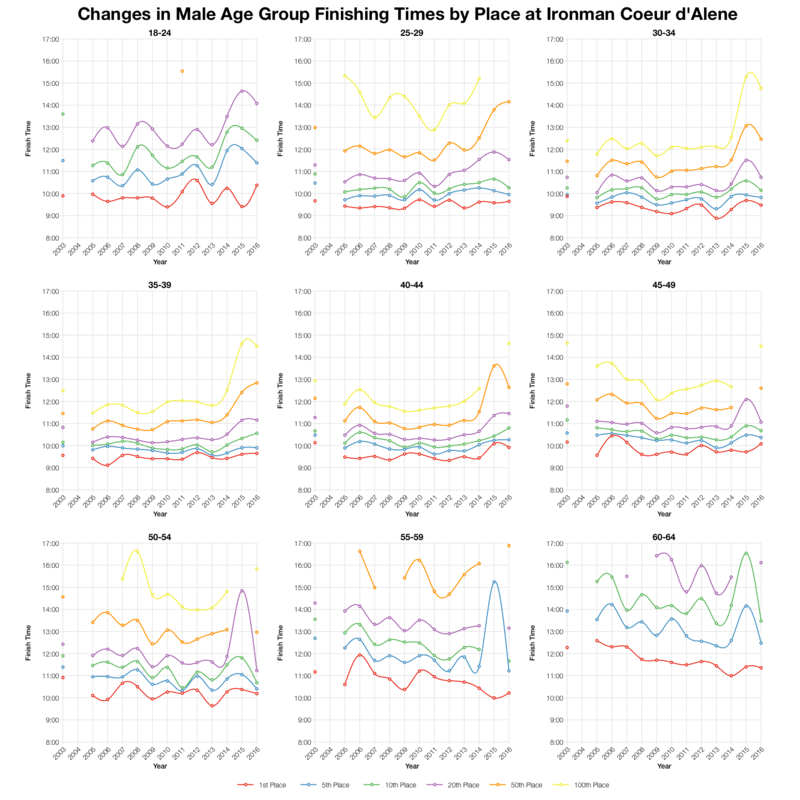 Last year was a particular slow race for the Coeur d’Alene course and while this year is slower than most it appears to have been an improvement on that. 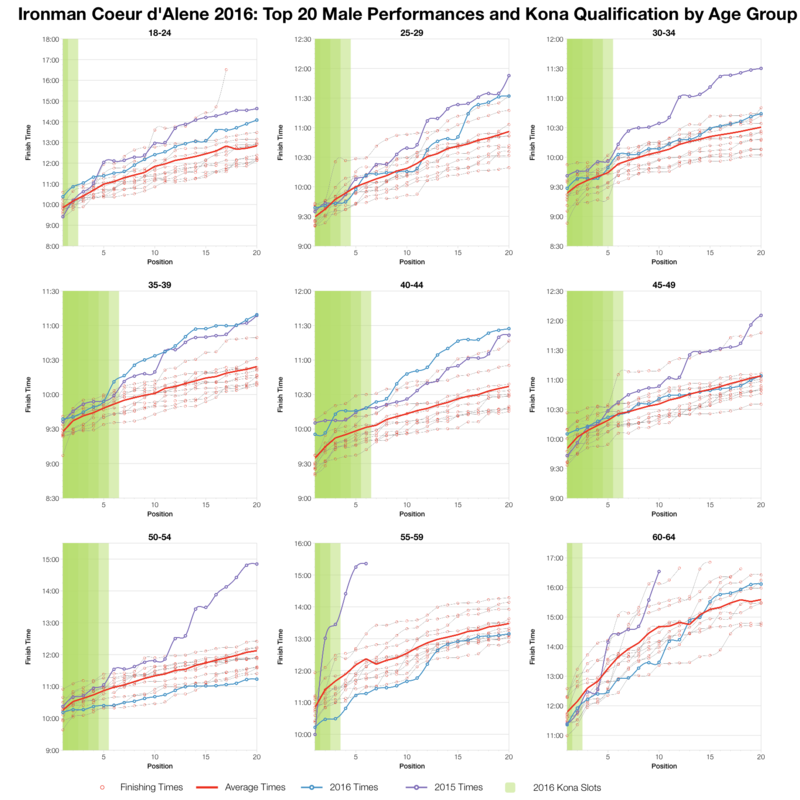 Times seem to be hit most further back in the field, out beyond 50th place in an age group. For the front runners the changes are much smaller and although this was a slower year, it’s not too far from race norms. 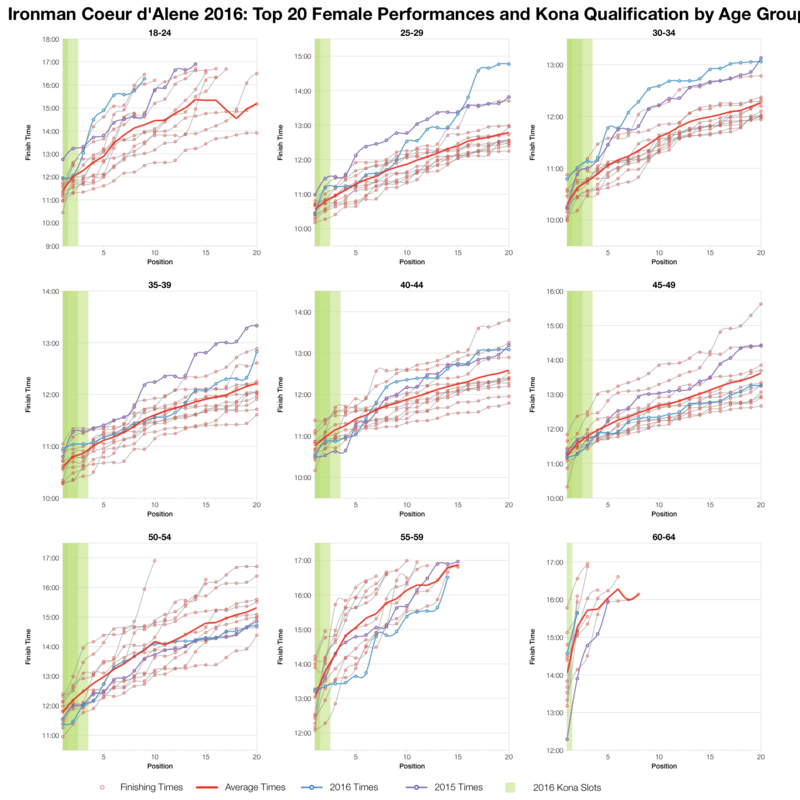 The table above calculates Kona slot allocation from the athlete tracker and automatic qualification times from the results. 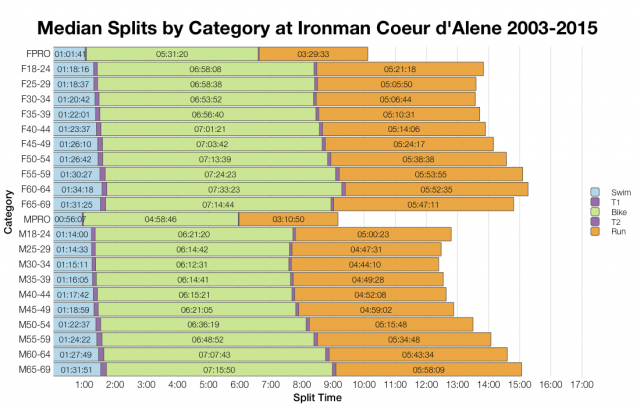 Athletes were less likely to break 10 hours in Coeur d’Alene and qualifying times reflect this. For men only a few age groups needed times below 10 hours, for women only one age group needed a time below 11 hours. You can compare Coeur d’Alene with other races on my Kona qualification page. 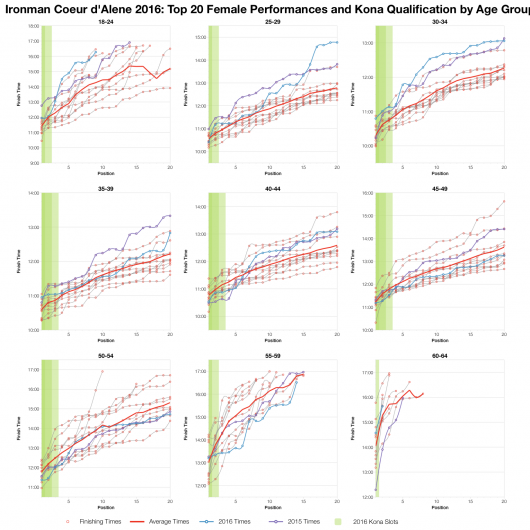 For both men and women under 50 the top twenty times tend to be average at best and in some instances quite a way below the average. 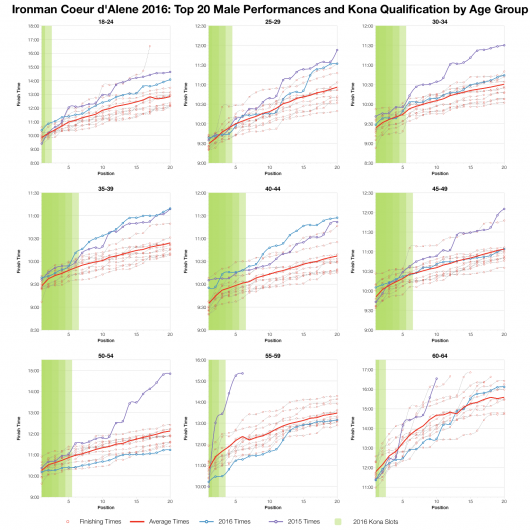 Those likely to qualify for Kona tend to fall close to the course averages even when their fellow age groupers are coming out further behind. 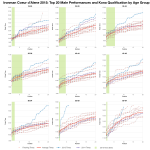 For athlete over 50 the trend points more towards faster than average times in the top twenty. 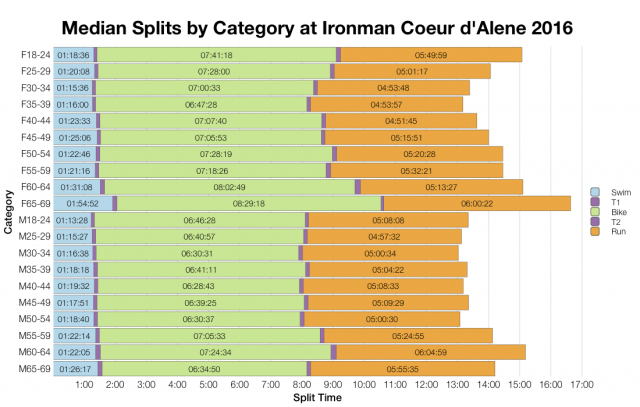 You can access a spreadsheet of the full results and splits from Ironman Coeur d’Alene 2016 on my Google Drive.